Today we are interviewing author Gregory Lloyd about his speculative fiction novel, "The Sword of Agrippa." 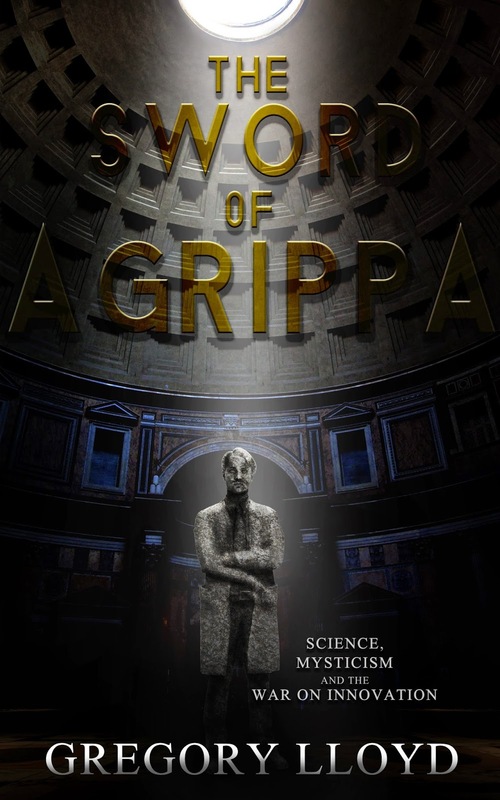 As a scientist takes on the world’s oligarchs as he searched for dark energy his dreams take him back into the life of a young Roman engineer who is transformed by a visit to the Great Library of Alexandria. Science and shamanism, future and past collide in this debut indie novel. A series of vivid dreams which began in 2004, which drove me to read various texts from the world’s mystery schools, religions and cultures. Beneath the veneer of culture, everything seemed the same. The path led me to a strange, awe-inspiring sense of entanglement which I wanted to express as the story took shape in my mind. Marcus Agrippa, an unsung hero to western civilization. For perhaps 30 years between college, grad school and my professional career. I write a blog on cloud computing, for example. I started the novel a few years ago as the dreams became overpowering. They eased as I started writing and underwent hypnosis related to mental blocks. I have many. The Pilgrimage by Paulo Coelho is up there with The Master and Margarita by Bulgakov. Spirituality and Dreaming followed by news feeds on science and innovation. I’ve been writing technical materials for years, especially related to the evolution of information technology. Shifting to novel writing was a big leap for me. Yoga. I’ve been obsessed with modernization and the march of progress since a very young age. At Reed College I took a course called The Systematic Studies of Religion and another on Quantitative Analysis. They had a significant impact on how I understood the world. Finish my novel by end of 2014. After that I’ll let the underground river take me where it may. Deep, meaningful discussions on where science and spirituality are going and how both are critically important to the age we are entering. A mutual sense of keeping ourselves open to the unknown. Yes, especially since I launched the Kickstarter campaign end of May. Yes. As the Roman warship approached Alexandria in 48BC I kept writing on and on about the trip to get there. Endless details about stops, messages, the changing color of the water as we passed the Nile delta, etc. I was afraid to go further. I went under hypnosis. It released a torrent of emotions. Ultimately, hypnosis helped me to achieve clarity and conceptualize the rest of the story. There are some very devastating events to unfold there as the novel takes shape. They were not easy to think about at the time. Deeply personal and troubling events. I’m hooked on the PC and MSFT Word. Perhaps a print edition. I have no other book simmering beneath the surface. This is it. It is my best effort to connect large groups of people who might otherwise feel disconnected. We are all entangled with each other.